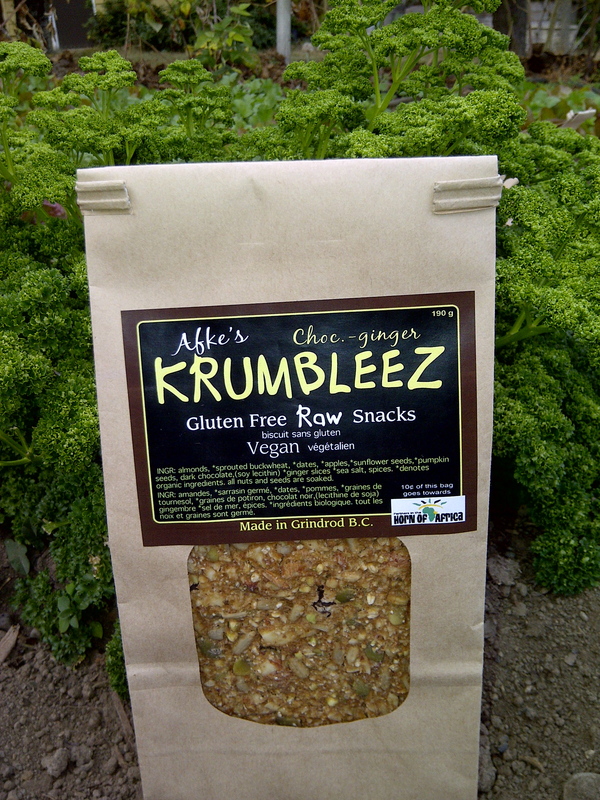 So long as my Okanagan Rawsome snacks are in supply (few days left), I’m a little happier to get up in the mornings. 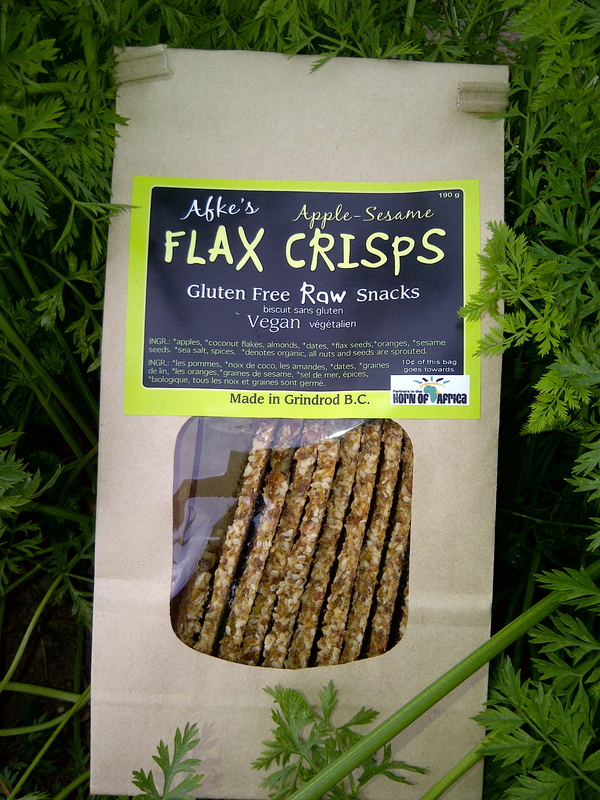 They’re among the most flavourful raw, gluten free, vegan snacks I’ve had. The brilliant crisps are spiced with cumin and other exotic flavours that may make you feel like you’re in another country where problems don’t exist. All the nuts and seeds in the Rawsome products are soaked overnight and rinsed twice to ensure maximum nutrition and digestibility. Few companies take such care with their products. The buckwheat and lentils are sprouted for the same reasons too. Oh and all the Rawsome products are sweetened ONLY with apple and dates. More love. I am deliberately going slow with these crisps because they can be devoured in one sitting and that won’t feel so good. They’ve also got hemp seeds and oranges. Nutritionally dense. Afke is the company founder and chef of these super products. She used to be a kitchen designer and traded it in to become a raw food chef in Grindrod, BC about three years ago. 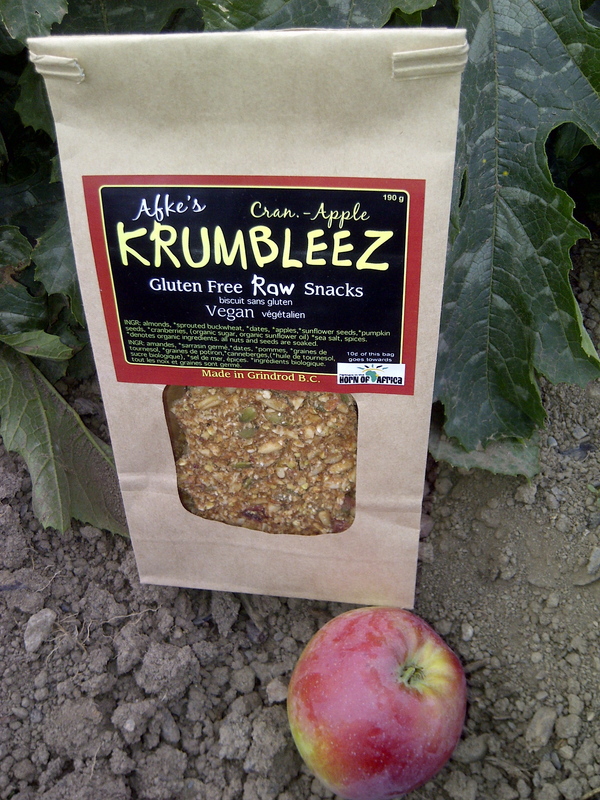 Afke cares deeply about sustainable farming, non-gmo foods and going local/organic whenever possible. All the more reason to support her products and accelerate the whole food movement. The other thing about her foods is that they are so layered with tastes that you must stop whatever you are doing so as not to miss the delicate adventure with your senses. The Cran-Apple stuff reminded me of spring and were demolished very quickly. They are loaded with mood boosting sunflower seeds, pumpkin seeds, apples, cranberries and almonds. These products are available at Save-on Foods and various other stores in Western Canada. I found them at the new Pomme Natural Market in the TriCities Area – a very cool store with more amazing foods than you can imagine. Price wise, the products range from $10 – $11, a little high but Afke has done her best to make them as affordable as possible, given the high quality of ingredients and conscious preparation that goes into them.